Argentina star Lionel Messi won’t be playing against Russia in Wednesday’s friendly in Moscow. He has a muscle injury, according to Argentina coach Diego Maradona, who himself seems far from happy. Diego Maradona's long-awaited arrival in Moscow is turning into something of a fiasco. The Argentine head coach refused to speak to journalists on Monday, and then cancelled a press conference the day before the game, despite dozens of reporters waiting eagerly for the chance to talk to the legendary figure. Maradona sees little point in playing Russia, and doesn't seem to be taking the game seriously, though Guus Hiddink thinks this will change when the match kicks off on Wednesday. Maradona is a man who's coming under increasing pressure, and his mind is solely looking ahead to his country's crucial World Cup qualifier against Brazil in September. Poor recent form has seen Argentina slip down the South American World Cup qualifying table. They are now far from being certain qualifiers for South Africa 2010. However, Guus Hiddink believes Maradona has the ability to turn things around. Meanwhile, Russia's preparations are going smoothly ahead of the game, which will be a sell-out, all tickets having been snapped up weeks ago, and Hiddink is expecting both teams to put on quite a spectacle. “Of course, we’d like the result but it’s not the most important thing. 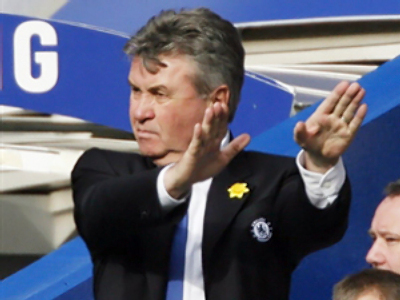 What’s important is that people enjoy watching the game in these beautiful circumstances,” says Hiddink. The match will give Hiddink the chance to give a number of his squad a run about, though unlike his opposite number Maradona, who's hinted at changing his entire side at half time, the Dutchman probably won't make wholesale substitutions.